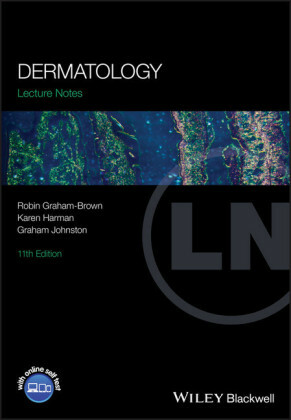 'A very well written introductory dermatology text with excellent clinical photographs and diagrams. We would highly recommend this for those wishing to grasp the basic concepts in dermatology.' 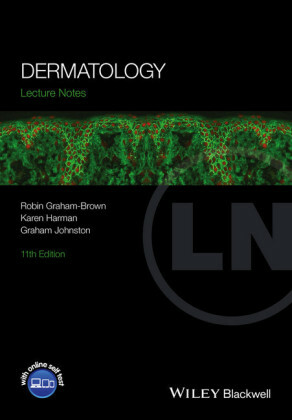 British Journal of Dermatology Dermatology Lecture Notes presents an accessible overview of skin structure and function, along with the practical aspects of disease management. 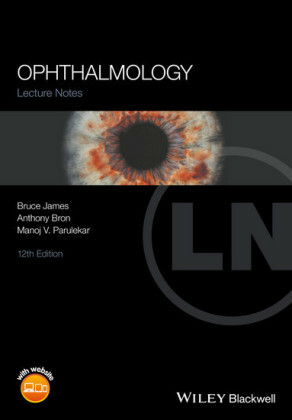 Now in its 11th edition, it has been thoroughly updated to focus on recent advances in the knowledge of skin diseases and their treatment. 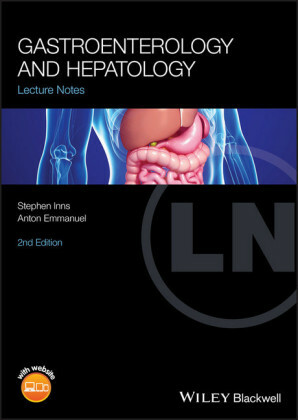 It combines readability with high quality illustrations, and is the ideal guide for new comers to the specialty as well as those more advanced in their studies. 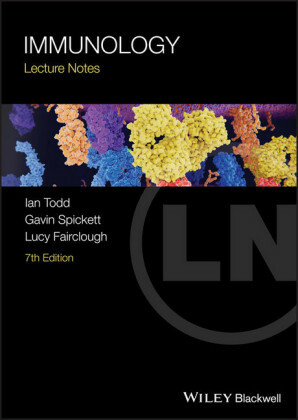 Key features include: - An overview of the basics of skin structure and function, as well as practical aspects of disease management - Excellent clinical photographs, diagrams and histological images - Newly expanded and updated sections on benign skin tumours, viruses, emergency dermatology (skin failure in particular) and vascular disorders - Includes a companion website at www.lecturenoteseries.com/dermatology featuring self-assessment and case studies With beautiful colour artwork throughout, Dermatology Lecture Notes includes a glossary of dermatological terms, and provides an excellent balance between theory and clinical relevance. Keeps the outside out and the inside in . It is essential to have some background knowledge of the normal structure and function of any organ before you can hope to understand the abnormal. Skin is the icing on the anatomical cake, it is the decorative wrapping paper, and without it not only would we all look rather unappealing, but also a variety of unpleasant physiological phenomena would bring about our demise. You have probably never contemplated your skin a great deal, except in the throes of narcissistic admiration, or when it has been blemished by some disorder, but hopefully by the end of this first chapter you will have been persuaded that it is quite a remarkable organ, and that you are lucky to be on such intimate terms with it. The skin is composed of two layers: the epidermis and the dermis ( Figure 1.1 ). The epidermis, which is the outer layer, and its appendages (hair, nails, sebaceous glands and sweat glands), are derived from the embryonic ectoderm. The dermis is of mesodermal origin. Figure 1.1 The structure of the skin. The relative thickness of epidermis and dermis varies considerably with body site. The epidermis is a stratified squamous epithelium, with several well-defined layers. The principal cell type is known as a keratinocyte . Keratinocytes, produced by cell division in the deepest layer of the epidermis (basal layer), are carried towards the skin surface, undergoing in transit a complex series of morphological and biochemical changes known as terminal differentiation (keratinization) to produce the surface layer of tightly packed dead cells (stratum corneum or horny layer), which are eventually shed. In health, the rate of production of cells matches the rate of loss so that epidermal thickness is constant. Epidermal kinetics are still not fully understood, particularly the balance between stem cells and those cells which differentiate into fully functional keratinocytes. This differentiation process is under genetic control and mutations in the genes controlling epidermal function are responsible for a variety of diseases, such as atopic eczema and the ichthyoses. So-called intermediate filaments , present in the cytoplasm of epithelial cells, are a major component of the architectural construction of the epidermis (the cytoskeleton ). The intermediate filaments are composed of proteins known as keratins, each of which is the product of a different gene. Pairs of keratins are characteristic of certain cell types and tissues. The mitotically active keratinocytes in the basal layer express the keratin pair K5/K14, but differentiation progresses as the cells migrate towards the epidermal surface and the expression of K5/K14 is down-regulated and that of K1/K10 is induced. As cells reach the higher layers of the epidermis, the filaments aggregate into keratin fibrils under the influence of a protein known as filaggrin (filament-aggregating protein) - filaggrin is derived from its precursor profilaggrin , present in keratohyalin granules , which constitute the granules in the granular layer. Derivatives of the proteolysis of filaggrin are major components of natural moisturizing factor (NMF), which is important in the maintenance of epidermal hydration. Loss-of-function mutations in FLG , the gene encoding filaggrin, have profound effects on epidermal barrier function, underlying ichthyosis vulgaris and strongly predisposing to atopic eczema; carriers of these mutations have reduced levels of NMF in the stratum corneum.